I am all about creating healthy habits that are feasible for the modern mom. We all have busy schedules, and lets be honest, we normally put ourselves pretty low on the priority list. (I'll touch on this in a future post). But what are some ways we can create healthy habits? What are some quick ways to get nutrition in? Recently, I weaned myself off of coffee. Yes, I know. Who does that? But it wasn't the coffee I was worried about, it was all the half & half and sugar I put in my coffee. Now, I still enjoy a few cups on my day off - Sunday is Family day and thats when I get my treats with the kids. (And yes, I said a FEW). And my husband is the MASTER at cold brew coffee, so weekends are my jam with him. But I started this daily habit of drinking a cup of hot lemon water every single morning. And this is seriously something I won't go with out now! Check out some benefits below! 2. Helps with digestion - I don't think I need to get into too much detail, but lets just say it clears you out within a few minutes of drinking it! 3. pH Balance - Lemon is highly alkaline. Once metabolized, it reduces the body's overall acidity. 4. Natural Energy - Lemon (and most Citrus) is known for the energizing scent. In addition to drinking lemon water, I also diffuse a mix of citrus oils from Young Living to help increase energy in our house. 5. Pain Reduction - Lemon reduces uric acid in the joints which is the cause of inflammation. Less inflammation = less joint pain. 6. Healthy Habit - Most of us enjoy sipping on something warm in the mornings. Whether its soothing or just a habit, most of us do it. For me personally, I would rather replace my hot coffee filled with sugar with something that is actually benefitting my body & health! 7. Clears Skin - Hot lemon water detoxes our intestines & our blood. Less toxins in our body means that we are getting less wrinkles and less breakouts. Whenever people ask me what skin care to use for their breakouts, my first questions are what are you eating and drinking, how much water do you drink and how much sleep do you get? All of these things affect your face. Treat your body from the inside out. 8. Natural Diuretic - Detoxifies your body so you expel fluid more frequently, thus keeping the toxins constantly flowing out of your body rather than sitting in your body. 9. Keeps you calm & stress free - When you are stressed, vitamin C is the first thing that is depleted from your body. So constantly filling your body with Vitamin C increases the amount in your body which will hopefully keep you calmer longer! 10. Oral Health - The citric acid helps kill bacteria! I hope that this info helps you create an awesome morning habit for your body. Self care mamas, its so important! 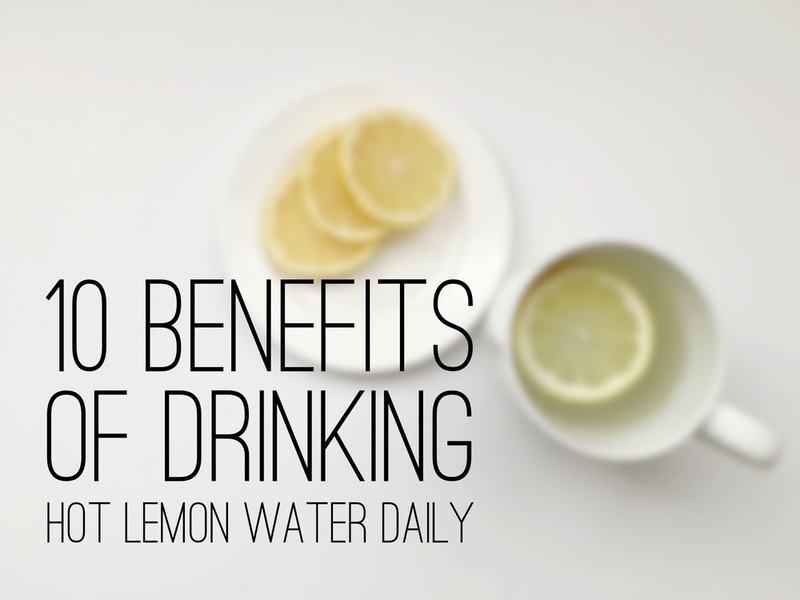 Comment if you've tried hot lemon water in the morning! !